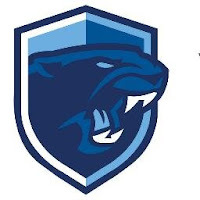 HockomockSports.com Staff has published their 2019 HOCKOMOCK LEAGUE SOFTBALL PREVIEW. We share the FHS portion here. The link to the full league preview is located below. Pitching will be a strength for the Panthers this year with seniors Jackie Cherry and Emily Valentino giving the team depth and different options in the circle. Throwing strikes will be the key for both and limiting opposition base runners. Behind the plate, Franklin has plenty of experience as well with seniors Ally Shea and Maggie Hobby both capable of stepping in and handling the pitchers as well as providing power at the plate. Senior Tara Hartnett will be back at shortstop and provides strong defense up the middle. Junior Anna Balkus will be in centerfield and will set the table for the offense as the lead-off hitter. Junior Maddie White will be at third base and joins Shea and senior Kylie-Jade Bouzan as the team’s primary run producers.